The final hurrah was packed with feel-good electronic anthems to say goodbye. It's getting to that point in the summer where the mood is hovering between sadness and excitement, as we are reaching the end of the season. Fortunately, the closing parties are always absolutely epic and Kygo's was no exception. It was back in 2015 when Norwegian wizard Kygo first performed on the mammoth Ushuaïa stage supporting Avicii. With incredible chart-slamming success and after two hugely popular residencies in 2016 and 2017, Kygo came back with a bang this 2018, ticking off his third roaring residency on Sundays. Over eight parties, Kygo has rocked Playa d'en Bossa this summer with an electronic roster line-up of DJs including Benny Benassi, EDX, Mike Perry, Cedric Gervais, Jonas Blue, Lost Frequencies and many more. It's been a blast. This past Sunday for the finale, Kygo was joined by Seventeen chart-hitter and international DJ, producer and remixer Marc Kinchen (aka MK). As expected, the two brought in an almighty crowd with both DJs having a huge international fan base. 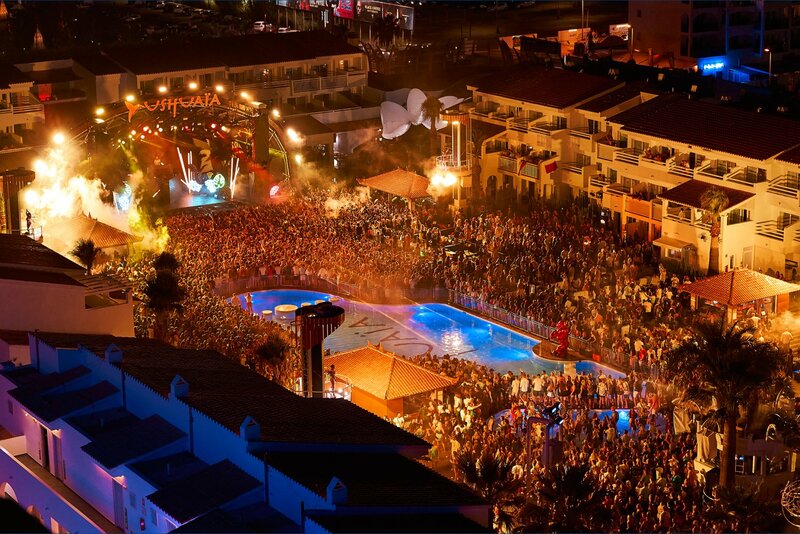 Ushuaia was jam-packed with hundreds of eager party-goers ready to dance to tropical feel-good tunes. Upon entering Ushuaïa, I was sad to think this would be the last Sunday spent grooving here, but the sadness was short-lived as MK received a warm welcome from fans and opened his set with all of his best sing-a-long chart bangers including My Head Is A Jungle and Piece of Me ft. Becky Hill. His trade-mark cheeky shoulder moves were out from the off as he dropped his catchy tropical dance remix of Armand Van Helden's Painkiller. Everyone was singing. MK specially curated his selection of tunes to fit the crowd leaving out the heavy house and techno tunes and bringing a fantastic range of pop and house tracks to Ushuaia such as Body by Loud Luxury feat. Brando. By 22:00 the excitement was growing in anticipation of the chart-smashing prodigy Kygo. Welcoming the crowd with one of the best of his own productions Firestone, he created a truly magical vibe with fireworks shooting high and loud cheers echoing the venue. The audience chanted with every track he played. The atmosphere was incredible. Bongo beach vibes continued with Kygo's uplifting remix of Marvin Gaye's Sexual Healing which saw everybody singing and dancing right until the end of the tune. If this song doesn't make you feel good then I don't know what will. We danced in the pool at the back of the lush open-air venue along with many other smiling faces and swaying arms to a personal summer favourite of mine: Seinabo Sey - Younger (Kygo Remix). Hearing tunes I hadn't heard in a while, I loved seeing how many songs of his always remain a sing-a-long banger. They sound even better with hundreds of others singing at the top of their lungs. Towards the end of his set, it wasn't just the vocals being flexed. There was space for the ravers to break up the dance floor, too, and Kygo seized the opportunity to play house belters and dance floor smash hits such as Pjanoo by Eric Prydz, an Ibiza favourite. Saying goodbye is always a bit sad, especially when we are saying goodbye for another year to one of the most uplifting and fun-loving parties on the Island, but the sweet closing party made it all better. Happy vibes, tropical tunes and sing-a-long wonders are what defines Kygo's hit residency. Enjoying an unusual night of pop, EDM and house beats, I was only gutted that I hadn't partied on Sundays at Ushuaïa sooner. Fingers crossed there will be next year, too. Kygo, you rocked it.